Fresh graduates face the challenges of employment related to the field they graduated from. Applying for a job is not an easy thing to do, especially for an individual who has not experienced working yet. A fresher resume is a necessary tool for a fresh graduate in order to compete with other applicants. A fresher resume must be able to represent you properly in the application process. In this regard, your resume must contain sections that provide the key information to your best qualities like a resume headline and a resume key skills section. 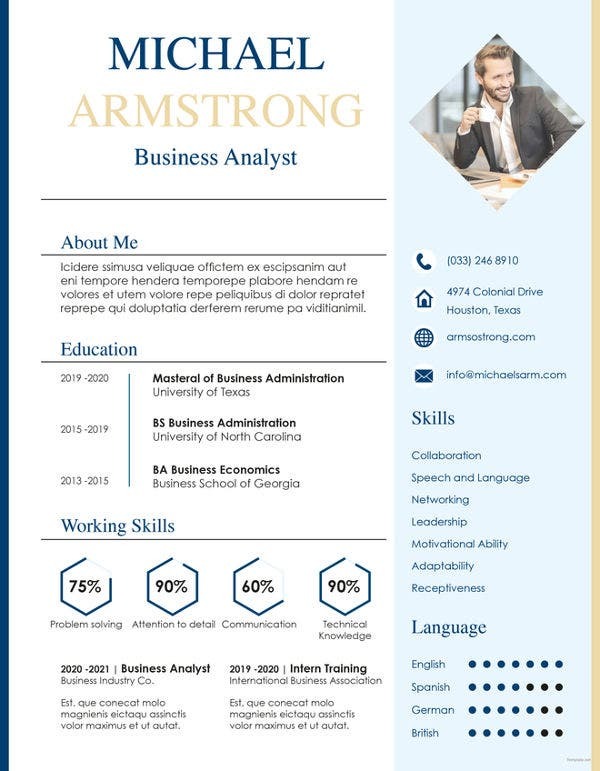 The following best fresher resume templates can be your source of ideas on the how to write an effective resume for your application. 1. 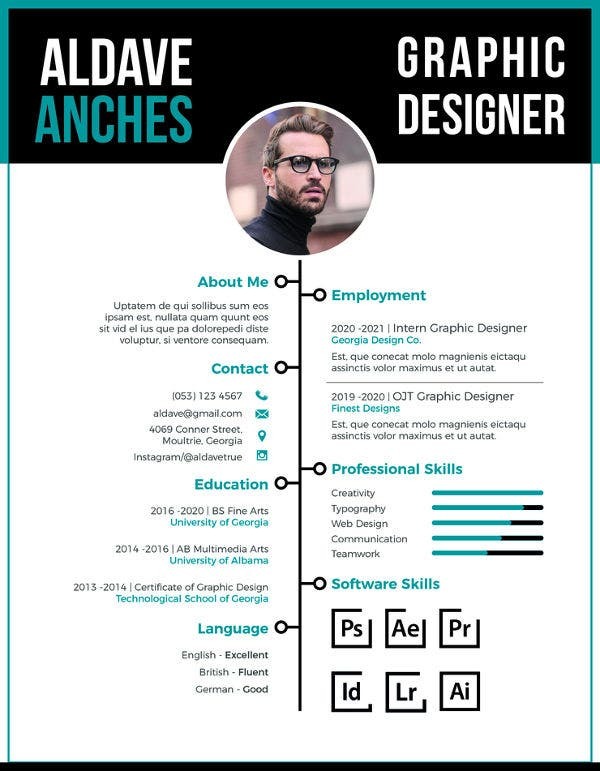 What to Include in a Fresher Resume? 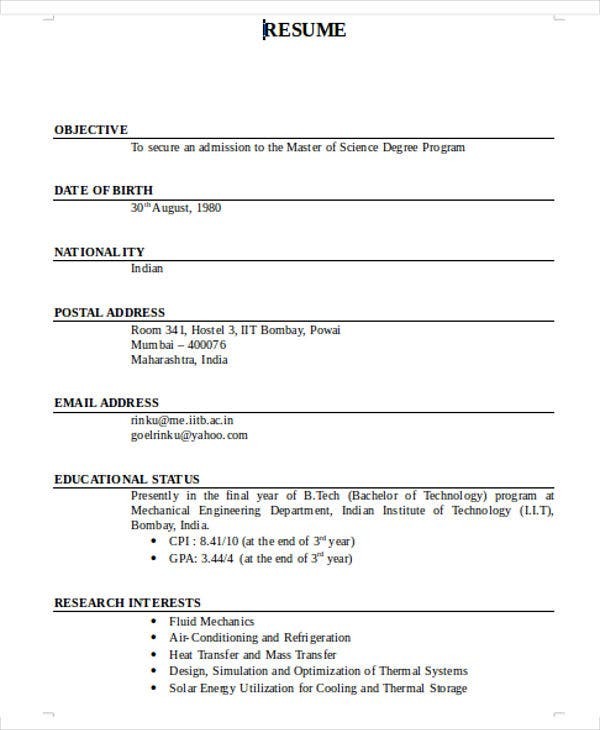 Contact Details Header – This is one of the basic features of a fresher resume like the fresher doctor resumes presented on this website. Putting your name and your contact information as a header on the resume is one way of getting the attention of the employers. Resume Objectives – This statement will provide your interest in being a part of the hiring company’s workforce and will present your suitability for the vacant job position. Relevant Experience – Since you are still a fresh graduate, with no professional experience yet, you don’t have enough information to write on your work background. In this regard, you can provide a relevant experience like your internship or your on-the-job training experience. 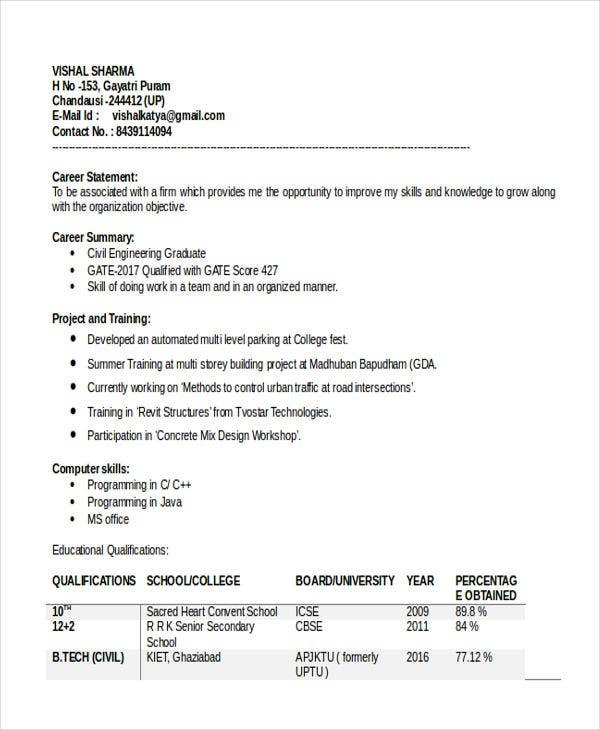 You may also see Free Fresher Resume Templates. Acquired Accomplishments – It is an advantage for a fresh graduate who has acquired achievements as a student. Enumerate these awards on your resume including your GPA if the rating is excellent. Qualifying Skills – This section shows what you can contribute to the company. Provide hard and soft skills in accordance with the requirements issued by the employer for the open job position. 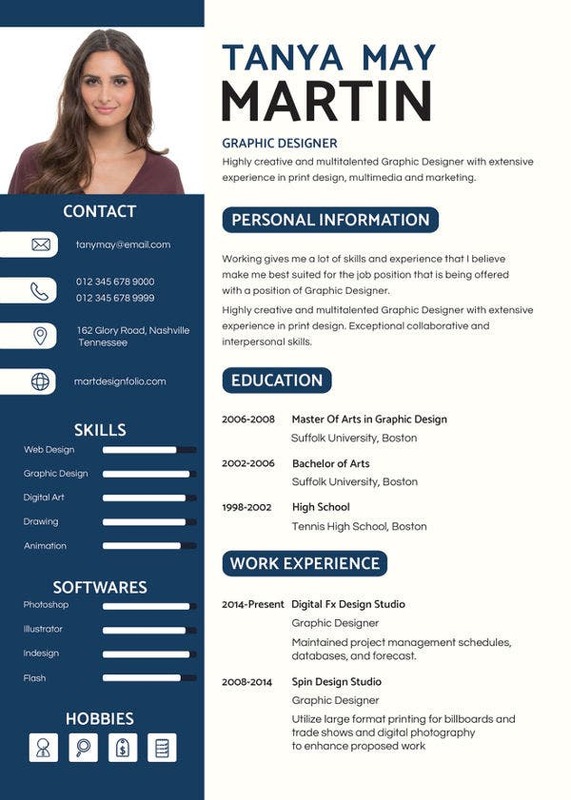 Accountant Fresher Resume Templates – As you may have noticed on the basic fresher resume templates on this website, most resumes are relevant to professionals in the business sector just like the accountant fresher resumes under this template type. 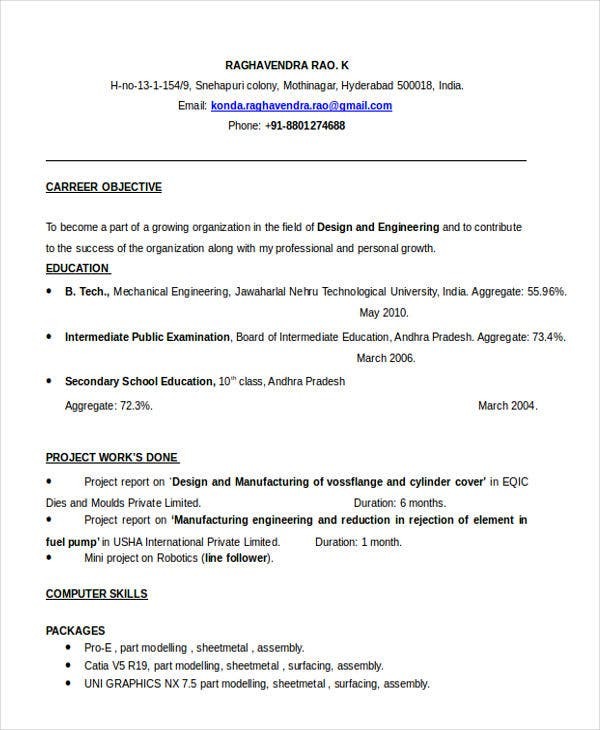 Mechanical Engineer Fresher Resume Templates – This set of best fresher resume templates applies to graduates in mechanical engineering who wants to apply for an entry-level job on a power plant or a manufacturing production plant of their choice. 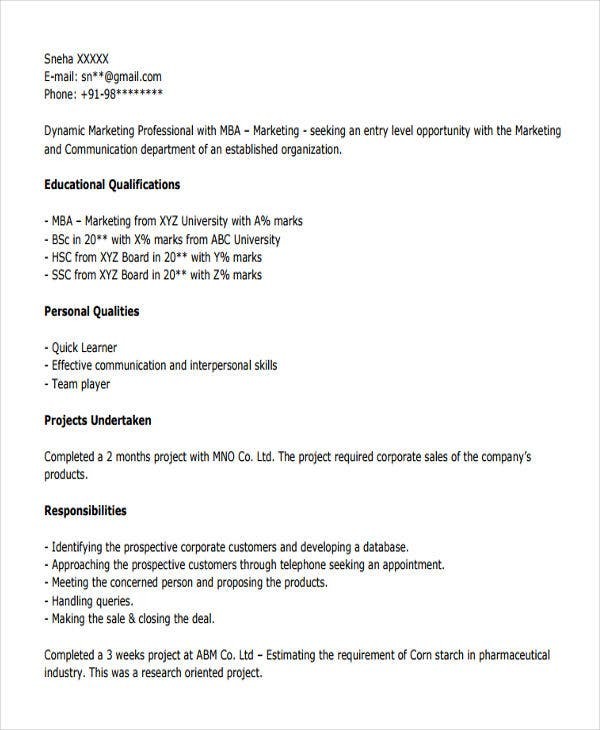 Marketing Fresher Resume – This type of template provides information on what to write for a resume on a job application involving an individual who graduated a Master’s degree in Marketing. 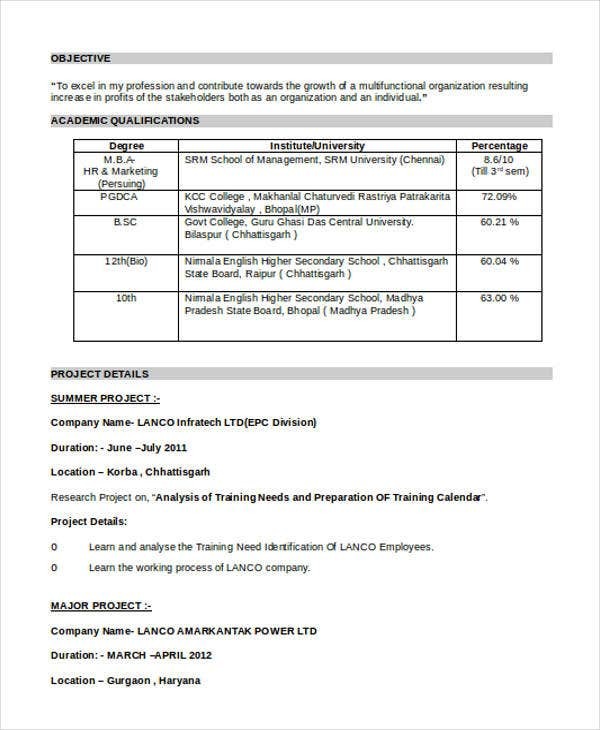 HR Fresher Resume – Individuals applying for an HR position with a Master’s degree in Human Resource must follow the format on this type of fresher resume template. 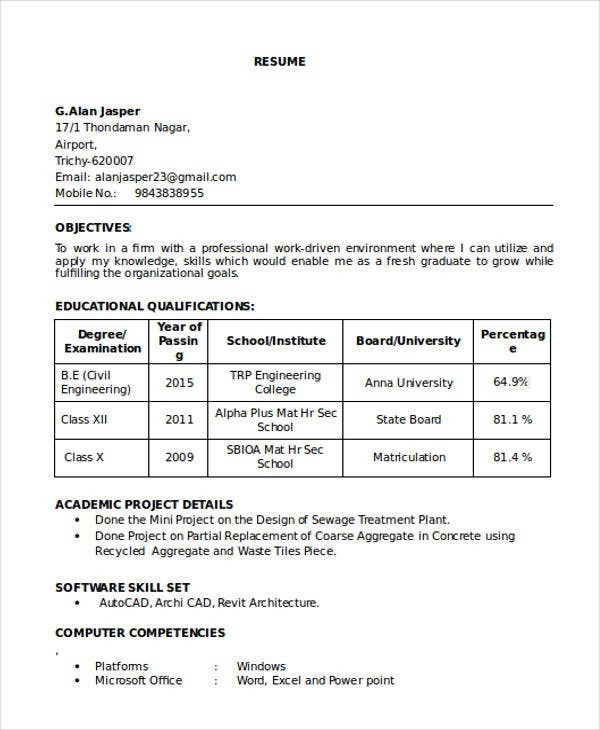 Civil Engineer Fresher Resume Templates – This type of fresher template covers the necessary information and format that a fresh civil engineering graduate can follow. 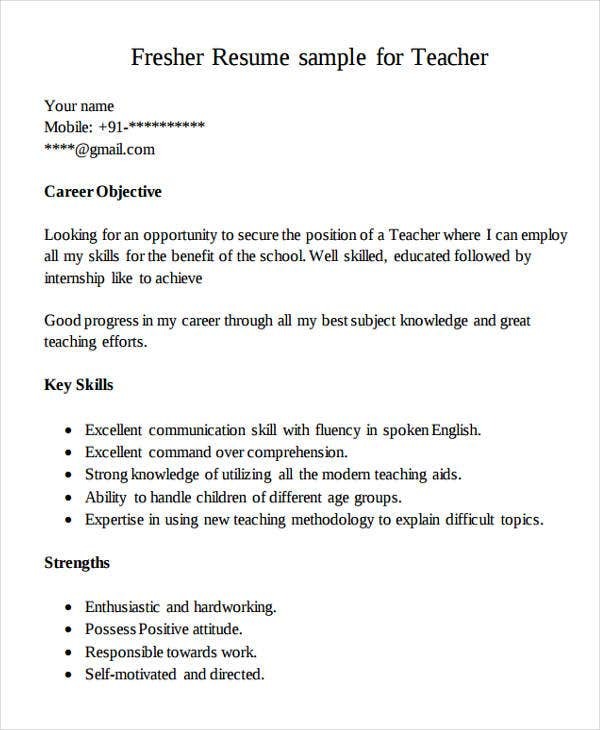 Teacher Fresher Resume Templates – Educators need to procure a good fresher resume similar to what is provided on this type of fresher resume template. 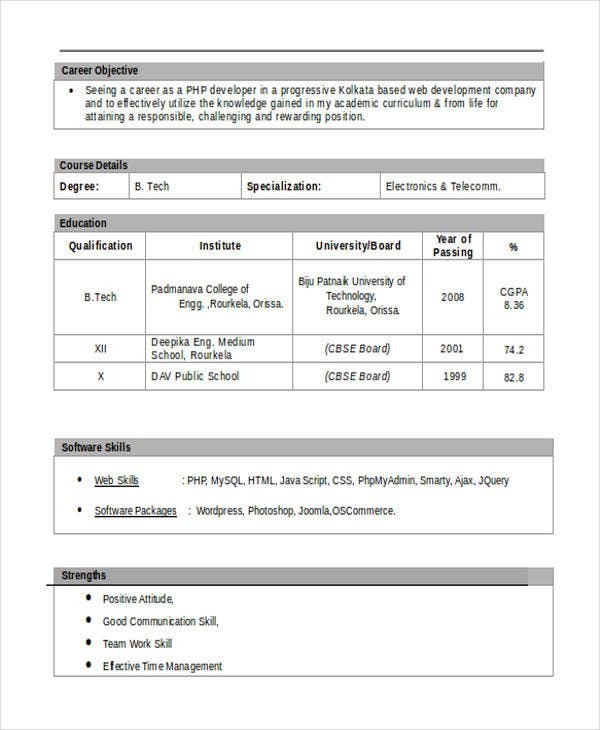 You may also see Graduate Fresher Resume Templates. 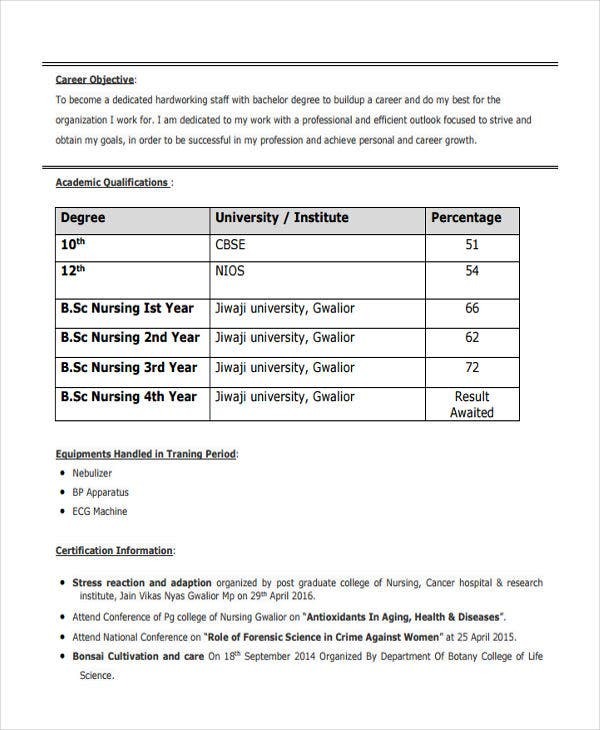 Nursing Fresher Resume Templates – An assurance on how trustworthy you are as a nurse must be exhibited on this type of fresher resume as seen on the templates under this category. Always provide a career objective in one to two sentences. The resume objective will provide a summary on your best attributes together with your desire and enthusiasm to join the organization of the hiring company. Provide in detail your educational background with facts. It is vital for a fresh graduate to provide the necessary information on his educational attainment especially for professions with licenses like the fresher accountant resumes. Write practical experiences relevant to the open position. It is normal for a fresh graduate to have lesser experience on the job position. What you can do is to present experiences you’ve had as a student containing relevant skills and responsibilities with the job description you are vying for. 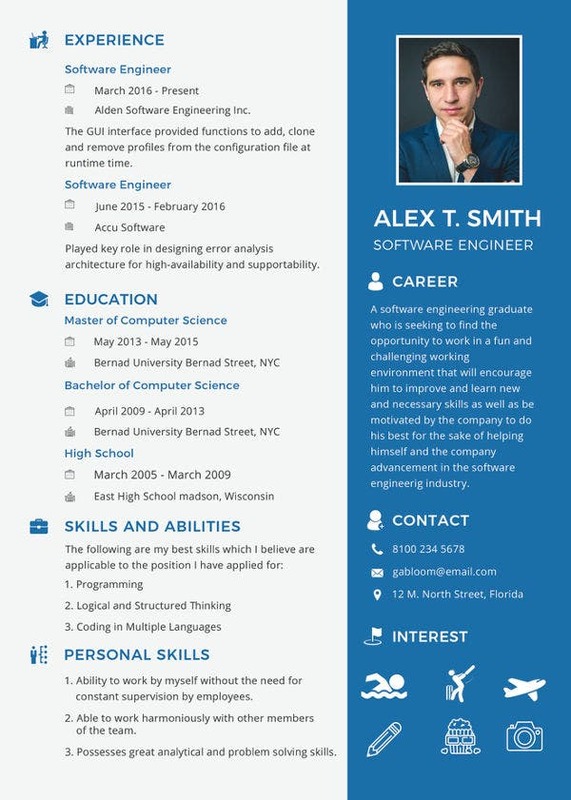 Follow a professional format for your resume. Your fresher resume must be able to compete with other job applicants particularly those experienced ones. In this regard, you must create your resume just as an experienced professional format and writes his resume. Give time to proofread your fresher resume. 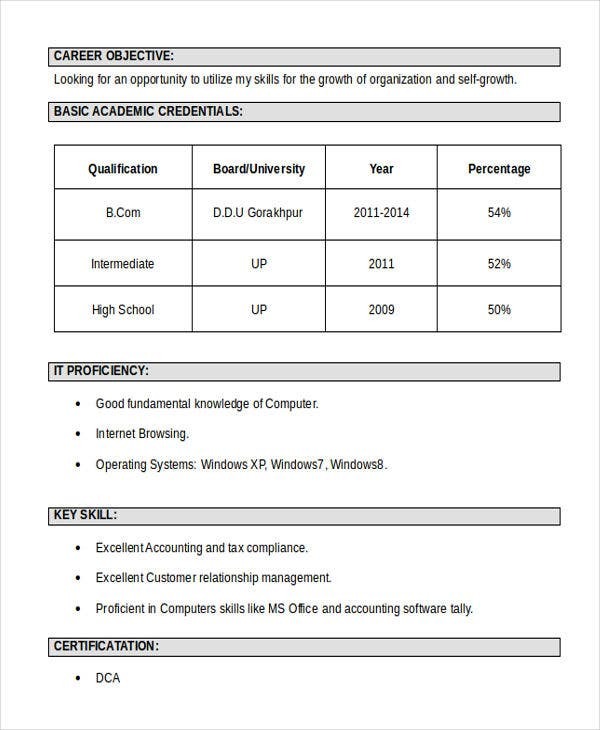 Submit your resume to the employer without error by making effort to correct grammatical and typographical errors. 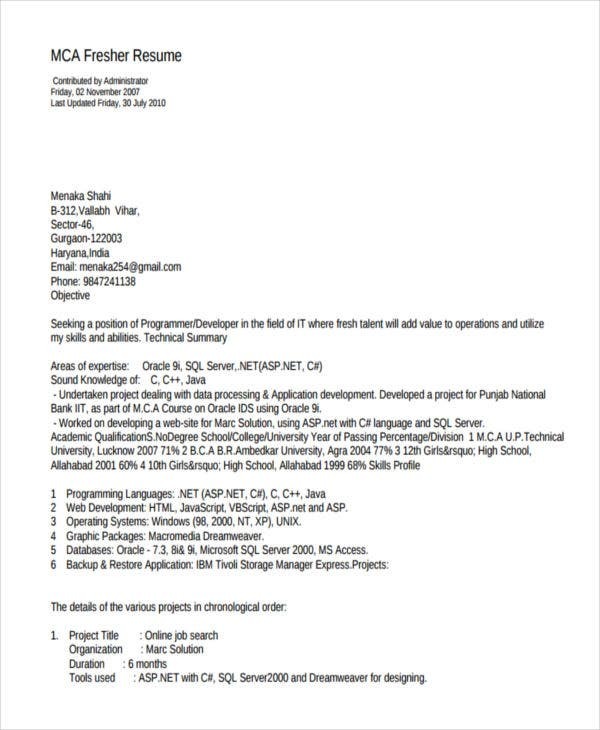 Present information on the resume in a simple but concise manner. 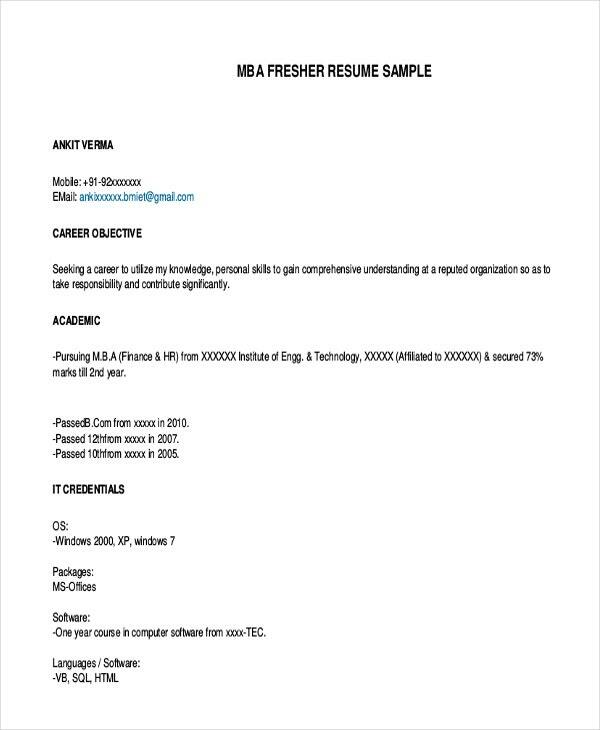 As a fresh graduate, it is irrelevant to submit resume with the length of three pages. Limit your resume to at least two pages if you have various relevant experiences and skills to identify. 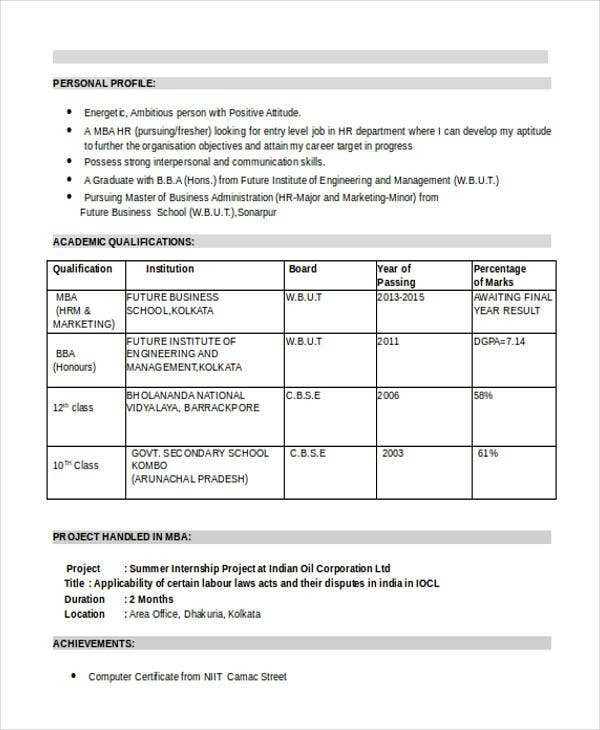 Make your fresher resume easily readable for the employer. When the employer looks into your resume, he only needs to scan for a few seconds in order to get the key information they need. 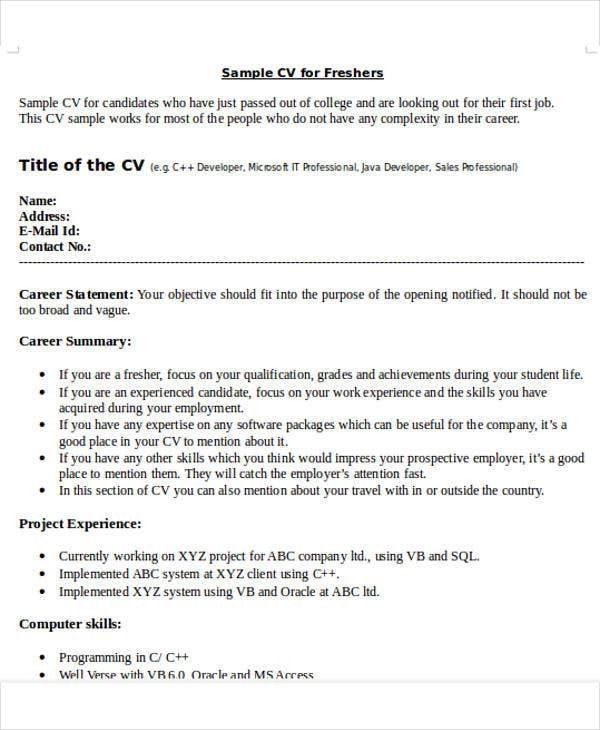 In this connection, you must able to provide a resume that is understandable and readable for the employer. Provide true details of your character references. Be honest on the information you include on the resume you submit especially on the character references you provide. These people will attest the authenticity of the details on your resume once they are contacted by the hiring employer. Look for references if necessary. 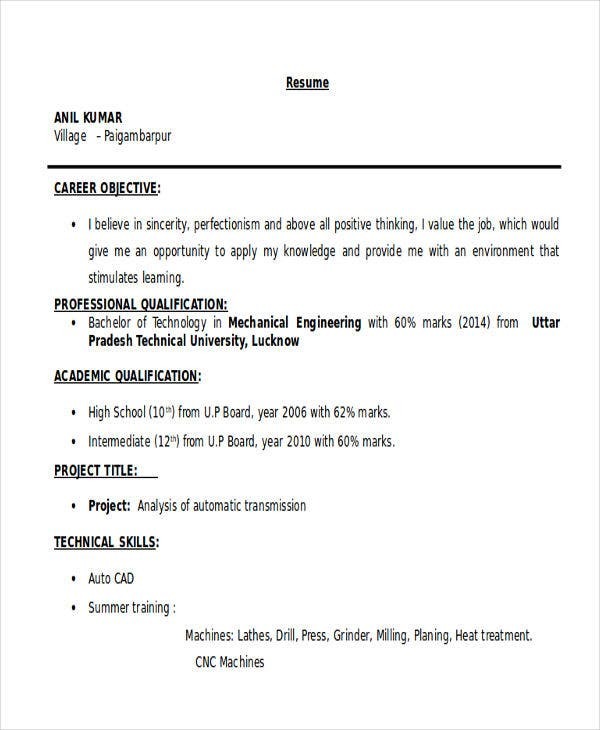 Do not forget to look into different sample fresher resume download templates to serve as your guide in creating the best fresher resume for your work applications. There is no denying the fact that experienced workers have the advantage. However, that does not necessarily mean that your application will not be accepted. Follow these simple tips and steps, and you can be certain you will find that job in no time.